Members are reminded that they must hold a valid Environment Agency Migratory Fish Rod License to fish LDAC water. Sadly the workparty at Wheelpit this weekend is cancelled - there is some very bad weather forecast which makes it too dangerous. Please find attached the LDAC 2018 Newsletter along with Membership Renewal Form and Catch Return which must be returned along with your renewal. On behalf of myself and the committee may I wish you all a Happy Xmas and Healthy New Year. As you will be aware, in October 2017, the Environment Agency implemented an emergency byelaw to protect Atlantic salmon in the River Camel. This was in response to an unprecedented and widespread decline recorded in juvenile salmon stocks that was detected through a comprehensive catchment wide juvenile fisheries monitoring programme conducted throughout the summer of 2017. 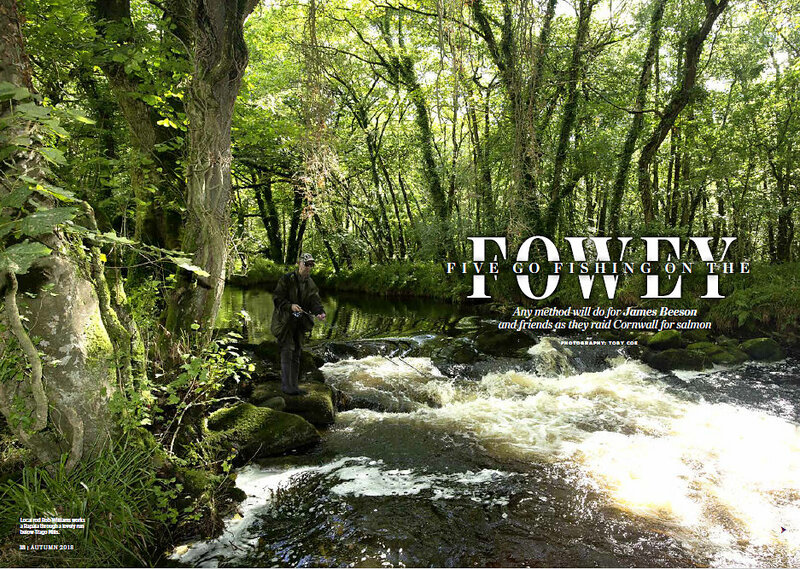 It had been evident that the River Camel salmon rod catch has been declining in recent years. However, the extent of the loss of juvenile salmon is of particular concern and suggested a significant failure in adult salmon spawning success. Adult and juvenile trout stocks remain relatively healthy across the catchment suggesting that this is a salmon specific issue. In recognition of the concerns expressed by River Camel angling interests, we agreed to review the need for the byelaw following additional juvenile fish surveys conducted by us and the West Country Rivers Trust in 2018 and an appraisal of other catch data. These surveys identified that whilst salmon fry abundance had improved at a small number of survey sites, it was clear that salmon fry and parr populations remained exceptionally poor across much of the catchment and therefore of continuing concern. There is now no doubt in our view that within two years, very few Atlantic salmon will return to the River Camel reflecting the exceptionally poor number of smolts that are likely to have left the river. 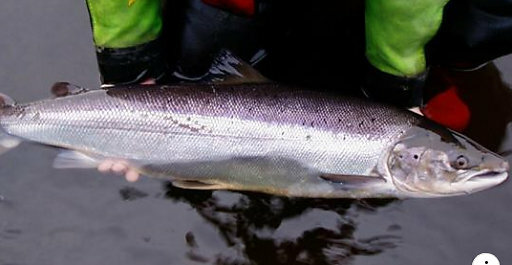 In September 2018, following completion of the most recent juvenile survey programmes, we attempted to convene a meeting with all of the key salmon angling clubs and riparian interests on the River Camel to present the results of the recent juvenile survey data and the trends evident within the rod catch data. The overall consensus of those who attended and reviewed the data with us was that there is a significant issue with the salmon stock and its population status on the River Camel. At this meeting and subsequently, there have been extensive ongoing discussions over the best way to implement the necessary protective measures, with a Catchment wide voluntary agreement being preferred by the Environment Agency. Unfortunately a consensus on the voluntary application of the protective measures was not reached across the catchment at this time. It has unfortunately become clear that obtaining this universal agreement and adoption of these measures cannot be achieved by angling interests across the River Camel at present. Therefore, we have decided, with the support of Defra, to extend the emergency byelaw period from 1st November 2018 for a further 6 months to the end of April 2019. This will provide a further opportunity to discuss the required measures with the angling interests or provide us with the necessary time to seek the implementation of a longer term salmon protection byelaw. 100% catch and release - all salmon caught on rod and line are to be returned with minimum delay. The use of worm for salmon fishing is prohibited. 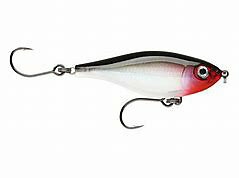 Spinners, plugs and other artificial lures must be fitted with single, barbless hooks only. Hooks used with artificial flies must have a maximum gape not exceeding 8mm. Prawn or shrimp may be used in conjunction with a single, barbless hook with a maximum gape not exceeding 8mm. The above measures will be in place until 30th April 2019 unless revoked by the Environment Agency. We are currently working on the River Camel Net Limitation Order (NLO) 2018 which will also consider the necessary package of measures to protect salmon and sea trout for rod and line and net fishing on the river. We will be continuing our consultation and would appreciate confirmation that your club or fishing interest would approve the suggested voluntary NLO measures. If a voluntary consensus cannot be reached a mandatory byelaw will have to be implemented across the catchment. We have also identified the River Camel as a priority catchment and identified a number of issues that we intend to investigate and deal working with the angling clubs and other partner organisations to maximise the opportunity for the recovery of salmon stocks within the Camel catchment. If you have any question about this please do not hesitate to contact me. Bryony Devoy Fisheries Technical Specialist DCiS and Net Limitation Order Specialist National Fisheries Team Agriculture, Fisheries and the Natural Environment Department Environment and Business Directorate Environment Agency. 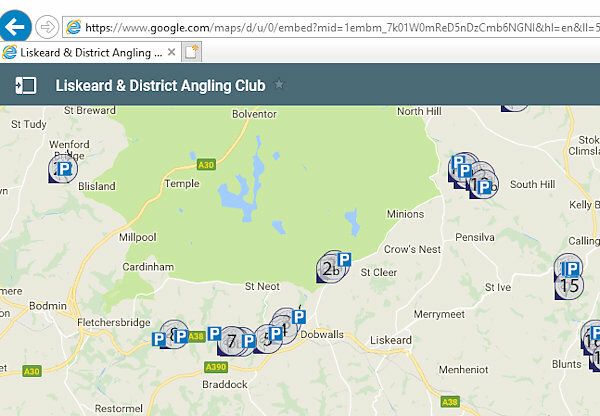 Liskeard & District Angling Club were very pleased to invite Trout & Salmon magazine to fish our water. See the article and please share it as it is great publicity for the Club. 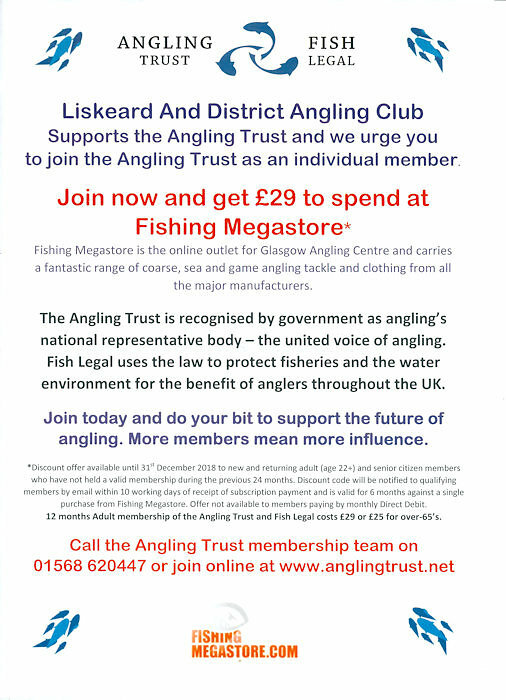 Join the Angling Trust and get a voucher for the same amount to spend on fishing tackle. At the LDAC AGM in February 2018 - The Chairman, Rob Williams, gave his report for the year - noting that the 2017 season had started well, spring salmon and a few large sea trout being caught, aided by frequent rainfall ensuring river conditions were often favourable for fishing. Fair numbers of summer grilse and sea trout were also caught on both the Lynher and Fowey but once again the later (Autumn) run of Salmon in the two main rivers were disappointing and fresh fish were very scarce. 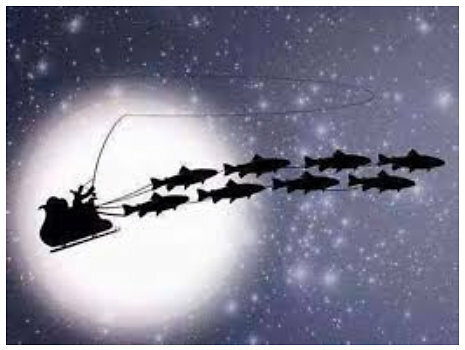 Despite this, intensive fishing efforts meant both hatcheries managed to meet their brood-stock quotas for the year. The Fowey river counter figures were discussed and it was noted that the numbers were, once again, lower than the 10- year average with salmon fairing less well than sea trout. Recent in-river survey figures produced by the EA and WRT also show worrying trends. The implications were to be discussed fully later in the meeting. Heavy rain throughout this winter meant that rivers were untypically high over a longer period of time and it was hoped that this would not negatively impact on juvenile production in 2018. The FRA has now secured much of the sanctuary area on a permanent basis and Chris Janes has resurrected the gravel cleaning to improve it. Efforts to extend sanctuary leases on other parts of the Draynes for a further 5 years have also been successful. New restrictive Estuary Netting bye-laws in force. Finally RW thanked the Committee and Officers for their efforts and R Grieve for continuing to support the website. He concluded by wishing members an enjoyable season ahead. The Coodes Lease for the Ashford Beat on the Fowey to be extended for 3 more years. 4 leases on the Lynher. With positive responses already received from 3 of the riparian owners. It is felt likely that all will be satisfactorily negotiated before the beginning of the season. No additional fishing rights came to the market during the year. Access at Turnpike Cottage (Newbridge, Lynher) is proving problematic as new owners’ are now in residence. A site meeting has taken place and whilst the Club’s legal rights are assured we will try to conclude the dispute without resorting to legal intervention. Please bear this in mind if accessing above the road bridge. LDAC organised the Trout and Salmon Magazine writers visit to the Fowey in August 2017. This was part of the push to recruit new members. Whilst the river proved out of sorts (with only one salmon taken by the fishing party) an excellent piece was published advertising the efforts of the hatchery at Colliford. Hopefully the publicity will be reflected in new membership enquiries. Looe-Liskeard cycleway: The Club met with the project manager for this tourism project. It was clear their proposals would have a major impact on the fishing environment along the West Looe beat we rent from the Duchy. Our concerns have been fed back to the Duchy and the Project Team. It is hoped that these objections will result in a new route being found. Beaver re-introduction in Cornwall: Cornwall Wildlife Trust has now established a small beaver breeding colony on the Tresillian River at Ladock.Feedback was given to WRT, SWRA and the FRA. Despite objections this private project was launched in June 2017. Emergency Bye-law on the Camel published to Club website: to remain in force until end October 2018. Website Manager: Pleased to advise that Richard Grieve has agreed to continue to support the website even though he has departed the Committee. He has our thanks for this important role. It was noted that exceptional capital purchase items (the purchase of Hendergrove and a significant contribution towards the FRA purchase of much of the Draynes sanctuary) had necessarily depleted the club’s capital reserve by some £12,000.00). This, when coupled with shrinking membership numbers, had placed the club under some financial strain. Despite this, Club fees (for 2018) had been increased marginally (£2.50 pa for adults) and all other subscriptions/day/weekly tickets had been frozen. Following consultation with riparian owners the majority have agreed to forego the annual RPI increase we normally provide in the rents payable. The Club thanks them for their generosity and continued support. Thanked LDAC for continued support for the hatchery. Provided an interested commentary on some of the lessons learned from the first year of operation. It had, for instance, become clear that water temperature was critical in hatching and normal fry development. To this end an innovative and cost effective chilling system had been installed which recirculated chilled water across egg trays, thereby reducing the volumes required. This concept had also been transferred to the Lynher hatchery as best practice. Recommended the excellent short film (Lost at Sea) as an interesting learning tool for all salmon anglers. Noted the importance of judging the hatchery and its success on facts, not supposition. In particular he touched on the motivational impact negative statements could have on the small pool of volunteers that kept the hatchery going. Hatching had progressed well with just 4% losses – aided by lower water temperatures. The AGM minutes for 2018 have now been adopted by the LDAC Committee (10th April 2017). If you require any further information please contact secretary@ldac.org.uk or any Committee member. ( includes LDAC Beat 22, Wenfordbridge). The Environment Agency (EA) have issued an Emergency Bylaw on the River Camel. EA fishing restrictions effective 1st November 2017 on the River Camel.